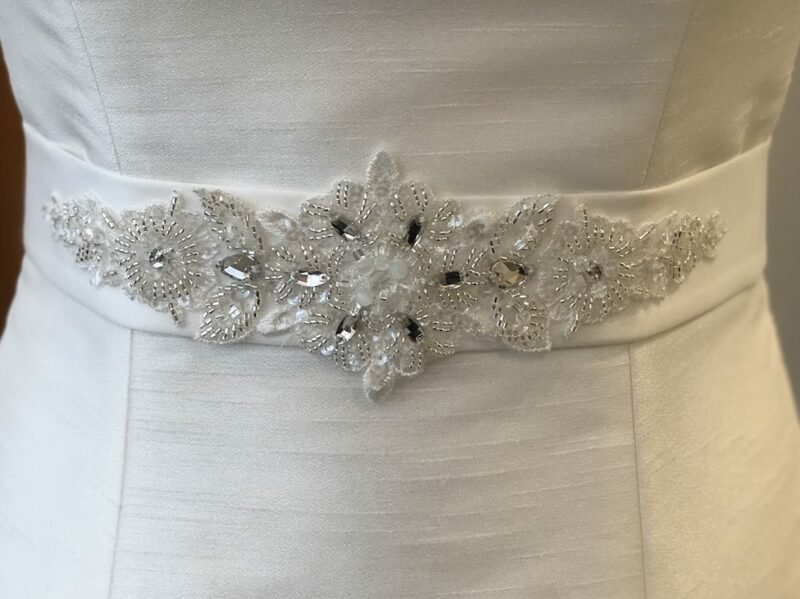 Our bridal belts are lovely and sparkly and look fantastic on a wedding dress, but some of them equally look fantastic in your hair, just look at what our talented Abbie did on our model Mel! To see more of our collection of belts pop into our boutique! This entry was posted in Bridal Box Blog, How do I...........?. Bookmark the permalink. Meet the expert – Cakes!